Entry fees for museums, Parks, Joy rides etc. Start for Pelling, the city of falls, from Gangtok. 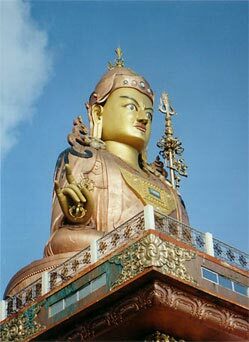 On the way visit Namchi, Samdruptse (32ft statue of Guru Padmasambha) & Char dham. 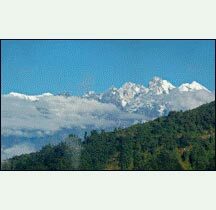 After reaching Pelling, evening free for walk around. Night stay. Transfer to Darjeeling from Pelling. 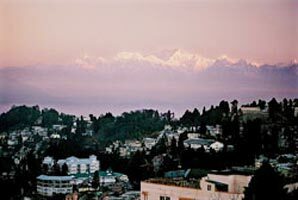 Reach Darjeeling. Evening walk around the the famous Chowrasta (mall round), watch the beautiful Khangchendzongha range from mall and enjoy shopping. 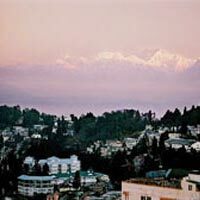 Night stay at Darjeeling. Day starts with early morning visit of Tiger Hill, for sunrise. 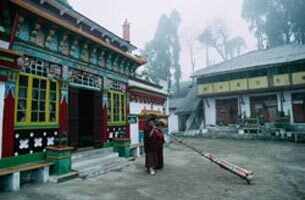 While returning to hotel, visit of Batasia Loop & Ghoom Monastery. If Toy Train ride is opted for, the above two places can be covered while returning back from Ghoom. 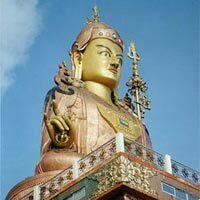 After breakfast visit of Peace Pagoda, Himalayan Mountaineering Institute, Padmaja Naidu Himalayan Zoological Park, Tea Garden overview and view points. By evening, back to hotel for night stay. After breakfast proceed to NJP Railway Station / IXB Airport (130 Km / 3.5 Hrs), for your onward connection/ journey. Standard Check in / Check out time of Hotels 12:00 noon. Pick up / Drop in the package will be as mentioned in the package. Hotel rooms will be provided as decided in the package (normally twin/triple sharing basis). Destination Green Booking Policy & Cancellation Policy is applicable for all packages. While on trip, Destination Green do not accept alteration of pre-decided itinerary. If anything such occurs by the wish of guests, extra amount arises has to be negotiated by guests themselves & paid directly and Destination Green do not take responsibility to bargain the extra amount required in such cases. Cancellation by guest or cancellation (full or part) occurred due to unforeseen act of God (land-slide, flood, heavy snow fall etc), strike, political turbulence or such act, which is beyond travel organizers control, no charges are refundable, though, every possible support will be provided by the company, in such condition. If any extra charge arises in the process, has to be borne by guests and paid directly. 50% of Package cost is to be deposited as Booking Advance (if booked more than one month in advance). Balance amount must to be deposited 10 days prior to commencing journey. For booking done within 15 days of journey, full payment has to be made as advance. Booking Vouchers will be delivered against full payment only. Balance payment to be deposited before 15 days of commencing the trip. In case booking done within 15 days of journey, full advance is to be made. Booking will be confirmed only after receipt of advance from the guests. Destination Green will forward Booking details & detailed itinerary along with money receipt on receipt of advance. Booking vouchers will be handed over on full payment only. Vehicle toll, driver charges etc. 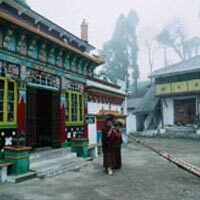 North Sikkim trip (from Gangtok to Gangtok) is always included with breakfast, Lunch & Dinner at Hotels (Lachung / Lachen / Yumthang etc.) - veg meal. Anything not mentioned in the "Included" section & do not permit as per policy. Gangtok sightseeing will be done by small car (capacity - 04) only, as per Sikkim Govt. regulations. Our responsibility for vehicle is limited to serve the itinerary. Note: Customers are requested to read the terms & conditions before committing any deal with Destination Green. Destination Green reserves the right to Cancel any trip, if money is not deposited as per the above mentioned terms & conditions (until otherwise agreed in written by Destination Green). In such cases, Destination Green Cancellation Policy will be effected for refund of money. Management is not liable for any type of accident/strike/insurgency/natural calamities (viz flood, land slide etc.) and reserves the right to alter itinerary according to unavoidable circumstances. Extra cost appearing due to those situations to be borne by tourists. Destination Green or their representatives act as coordinator / agents for hotels, transportations companies and only service providers like transportation, vehicles or accommodations or other related services while exercising the finest possible services and care. Though every possible support will be provided by the company.